FreeNAS is an open-source solution to creating a resilient Network-Attached-Storage (NAS) solution for your data. In laymans terms it is a specialised computer designed to act as an external hard drive on your network. This build is going to focus on creating an enterprise grade NAS for home use. With that in mind the components for this build will focus on bringing out the full potential of FreeNAS and the ZFS file system at the least cost possible (at the time of this post) without sacrificing features. DISCLAIMER: Can you build a FreeNAS box without ECC components? Yes you can! Why does this build not use Non-ECC components to save money? Because ECC takes advantage of ZFS which is the primary focus of the build. See more in Useful Links below. CPU - The CPU MUST SUPPORT ECC in order to take full advantage of ZFS. The CPU does not need to be powerful so do not go all out on a high performance CPU. The CPU MUST SUPPORT AES-NI in order to take full advantage of Full-Disk-Encryption. Any Haswell i3 Processor would work perfectly for FreeNAS: Supports both AES-NI and ECC. Any Haswell Xeon Processor will work as well, but unless you plan on putting this in an enterprise environment the i3 Processor is the more economical route. If you don't care about encryption then the Pentium G32XX series or G34XX series will give you ECC but will sacrifice AES-NI. Motherboard - The Motherboard MUST SUPPORT ECC in order to take full advantage of ZFS. 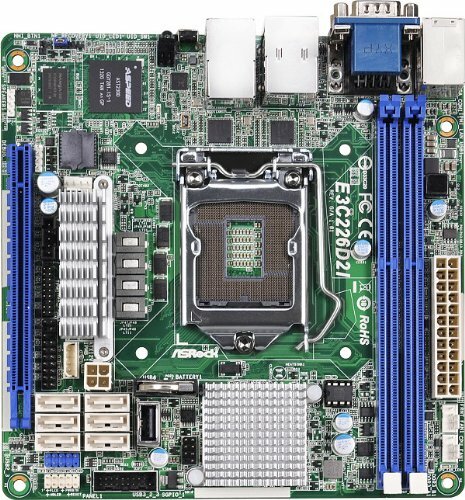 At the time of this build ASRock has two Motherboards that support ECC that are inexpensive and work great for FreeNAS. The E3C226D2I and the E3C224D2I. The only difference between the two is that one has Six SATA 6Gbps ports and the other has only Four SATA 6Gbps ports. Hard Drives - Mostly any Hard Drives will do. Since this is a File Storage box you would want drives that are low power, meaning low RPM. Basic physics tells us that the faster drives spin the more friction they create, more friction means more heat, and heat is the enemy. 5900 RPM or 5400 RPM drives are good. STAY AWAY FROM WESTERN DIGITAL GREEN DRIVES They don't play nice with ZFS. Good Tip: Be sure to write down the Serial Numbers of each drive and draw a diagram for your setup. If a drive fails you will know exactly which one failed. USB Drive - USB 2.0 is recommended. 16GB will be plenty for upgrades and other features. Do not buy a cheap off brand. 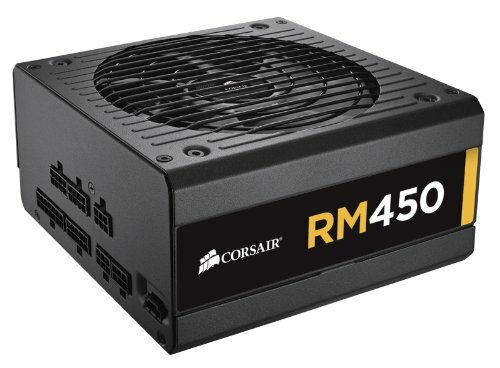 PSU - Make sure you have a PSU that can support all your SATA connections. Fully Modular is a plus because it removes cables for better airflow. Gold 80+ for higher is recommended, however going higher than Gold at the time of this post you would not get much return on investment from the power saving efficiency of Platinum or Titanium PSUs. Do not buy off brand cheap PSUs as again this is your data. OS - At the time of this build: FreeNAS 9.3. There are others such as NAS4Free which was FreeNAS until iXsystems acquired FreeNAS code in 2011 and the old FreeNAS changed its name to NAS4Free. Both FreeNAS and NAS4Free and based off of FreeBSD which is an open-source Unix like operating system. Here is the space that I will use to explain what I would have done differently now that I have built my first machine. First I would have gone with a larger case and added two, four drive hot-swapable bays. At the time of this post I am not fully aware if the Motherboard is Hot-swapable compliant It isn't you will need to add a Host-Bus-Adapter. Therefore I would also recommend possibly getting a Host-Bus-Adapter that is if the board is not hot-swapable or you want to utilize eight more dirves you will need more SATA ports. Also if you want, you can buy a good SSD and use the SSD as a cache drive. Excellent guide. Very much appreciate the simple explanations for why you chose the components. I will be using this as a starting point to construct my own ZFS/FreeNAS build. Glad that you found this guide helpful. Something I did not have listed in this guide that I would recommend is that for each hard drive you have, make sure you write down the serial number, as when a drive fails FreeNAS will report the S/N. So a good practice would be to write them down, maybe keep a copy inside your case with a hand drawn diagram. That way it will be easier to identify the failed drive. It would be bad if you replace the wrong drive by mistake and loose all of your data. I have almost all the same parts. I changed the case to a Silverstone SST-CS01W-HS and the HDDs respectively to 6x 1TB 2.5" WD Red disks. It looks amazing and performs just like advertised. PS. The case case fit a max of 110mm tall CPU cooler. So I got the Noctua NH-D9L to keep the noise down in the living room. There is an actual difference in the ambient noise level compared to the stock Intel one. I noticed that both in your Guide and in the comments you have stated you would have gone with a larger Case. I've seen other builds and I noticed that a few were using the Silverstone DS380, would it be an acceptable replacement to the case in your original guide? That is a great case for this kind of build. Yes I would recommend this kind of case, a bit expensive though but excellent. Golden star for you! Updated the guide to include this case in the "Case" section. Thanks again for finding it! No problem! I was looking at different FreeNAS guides and yours kept coming up, but I was concerned with how small of a case the Fractal one is and wasn't sure it would support all my drives. No mention of the RAID level you're employing? I did not mention which RAID level I would be running because each person who would build something similar to this might have different needs, or trying to accomplish a different task then what I was trying to do. But I am using a RAID-Z2 (RAID6) setup, for my needs. Yes it is done through FreeNAS. The beauty of FreeNAS and ZFS is that it is all done in Software. You do not want any RAID setup at the hardware level, on a RAID card or Motherboard. Depending on your needs RAID-Z1 (essentially RAID-5) or RAID-Z2 (essentially RAID-6) will suffice. Don't use the the wizard when creating your volume if you want to enable encryption. Setting up the Volume manually is the way to go. FreeNAS has implemented a new GUI since I made this so some things have change. Thanks for the info! Just for my knowledge, why do you suggest not setting up RAID at the hardware level (on a card or motherboard)? Because that would completely defeat the purpose of FreeNAS and ZFS. It's fine to use hardware level RAID, but not if you are using FreeNAS or NAS4Free. You if you did use Hardware level RAID with FreeNAS then your performance would suffer. You are essentially using RAID on RAID at that point. Thanks for making this guide. I'm looking to put together a FreeNAS machine. I have three questions. For this type of build, are you aware of any after market coolers that would be worth getting to replace the stock one? I'm primarily thinking about reducing noise levels. Are you aware of any SSDs that don't play well with FreeNAS? Do you know of any Skylake compatible Mini-ITX boards that support unbuffered ECC RAM? So far I haven't found any. Also, the 8 GB unbuffered ECC sticks listed on PCPP are only DDR3 right now. I used stock and from what I can tell the noise level is near inaudible. In truth it is a personal preference, so any aftermarket that supports the socket you go with will be fine. Just make sure you have room as with the case I went with was very cramp. FreeNAS is based on FreeBSD and was designed to work on Flash based devices like USB drives. If I were to use an SSD for anything it would be as a caching drive, and I would go with an SSD that supports a very high write tolerance, since a cache drive will have a lot of reads and writes. But you really only need this if you are running something like a large SQL database on the box. If you are just storing movies, music, and pictures that are not going to accessed quickly then it is not really necessary. None that I know of. You might want to check to see if SuperMicro has any, but again depending on your reasoning to go with Skylake is, I would say it is unnecessary. Skylake just came out so stuff is still rolling off the factory lines, but for most uses of FreeNAS you do not need the latest and greatest. Most actually Frankenstein old computers together to make a FreeNAS box. This guide was made to take full advantage of ZFS as much as possible and I think I still have not done it justice. Is there a wireless adapter you would recommend for this build? I would love to use this as a "family server" and wireless is the easiest way to get everyone in the house to use it. Fantastic guide and I love all the advice! I would not recommend wireless on the FreeNAS box itself. I would recommend having it hooked up to your wireless router or like device, and access it that way. Basically using your wireless router/AP as the middle man for your content. I do, but not in the way you might think. I know FreeNAS has a Plugin/Jail for Plex. However, I did not want to bog down the FreeNAS box I built solely for storage with anything else. Storage is Storage and I did not want it to be anything else. So my solution was, I have an ESXi Server box I built earlier for IT training and spun up a Lubuntu VM with 4core, 4GB RAM, and shared the CIFS share, and had the VM run Plex. Which I hope is better at encoding since the ESXi Box has an i5 and were as the FreeNAS box has an i3. On an off note: I prefer KODI over Plex for HTPC machines because Plex is actually a fork of KODI. I primarily use Plex as a backend instead of a frontend. 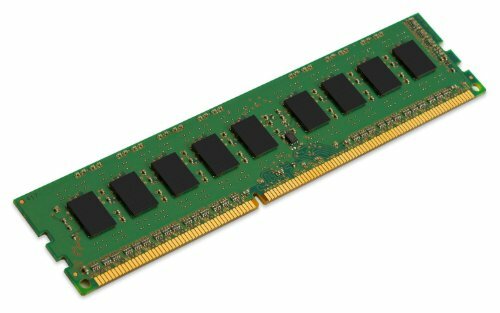 Is 16GB of RAM sufficient for an 18TB (original size) setup? I thought you need at least 1GB of RAM for TB of original storage? That's a rule of thumb, and probably more directed at corporate users. Technically the usable space I have with this setup is around 11.4GB as a RAID-Z2 (RAID-6). I have not had any issues with performance, and at the time of this post I have been using it for close to 4 months. Would this CPU be powerful enough to run a plex server ? Probably in combination with SabNZBd and Sonarr. I don't use this machine to run my Plex Server, so I have not tried. See the response to "lavjr" above. Oh thanks I must've missed it ! This guide is fantastic, thanks so much for making it. I'm thinking a lot about my own build using this. Question- you stated in your last paragraph that if you were to start over you would go with a bigger case. I've been looking at maybe a Fractal R4 but was curious if you came across some bigger cases that would fit this build well. I guess to expand on what I want to do- I'd like to follow your advice here more or less, but upgrade the chip to a Xeon and the RAM to 32gb. I want to build an 18tb pool like you have done here, but I'd like to be able to be able to expand another pool of 6 drives in a few years if possible on the same server. You would need a case that can support 12 3.5" hard drive bays possibly in sets of 3, if you plan on using 3TB drives. Or just go with bigger density drives 4TB, 5TB, etc and you can go with less bays. Also a case that can support something like this is ideally what I would have done differently since access to the drive is much more easier with this kind of setup. To note you would have to ensure that the Motherboard and drives are also HotSwap capable if you want to replace the drive while the server is running. Otherwise you may still need to power off the machine to swap the drive but it will still be easier than using the small case I am using. 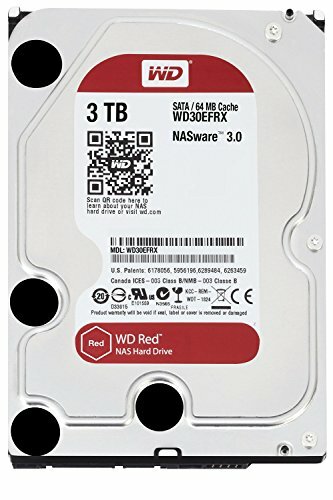 Hey Zenjiro, just a question — For now, I just bought one WD Red 6TB… Is there a problem installing FreeNAS with this only disk? Should I wait to install when I get the other two extra disks? What do you recommend? Can you help me with this? FreeNAS is designed to be installed on a flash-based media such as a USB flash drive. If you install this on a 6TB drive then you will not be able to use it for storage. They will be adding a feature to install the OS across all your drives in the near future in FreeNAS 10 (I think). Could you do a tutorial showing us how to install step-by-step? It would be very helpful for those who are getting issues on first steps... Thanks in advanced. Of the hardware or the OS Install? For OS install I just youtubed how to install to a USB Drive. Then it is just finding the IP address your DHCP server hands out and gets displayed onscreen, or the one you gave during its setup. After that everything is managed through the WebGUI. Could you share this link with us, please? Thanks buddy! Thanks for postings this guide. Any thoughts on NAS using M.2 drives? Using one for a caching drive or all the drives be M.2? Since M.2 uses PCIe lanes you will need to keep that in mind when looking for expansion cards and what system chips you are using. All m.2. Isn't m.2 slot part of motherboard nowadays. Pardon my misunderstanding if any. I have only seen a maximum of 2 - 3 M.2 slots at a time on a motherboard. The one I just bought for my new gaming rig has 2, but only one uses PCIe lanes while the other uses up 3 SATAIII ports, as in those ports become disabled if used. I have not seen any server grade board that supports ECC with M.2 yet, but that is because I have not looked. Thanks for the awesome guide. I'm new to FreeNAS and DIY NAS in general. My requirements for storage is not too large. Is it possible to leave out 2 drives in this list and setup the NAS box with 4 drives initially? I know FreeNAS needs a few parity drives so I'm not too sure. You just have to decide which RAID setup is best for you.